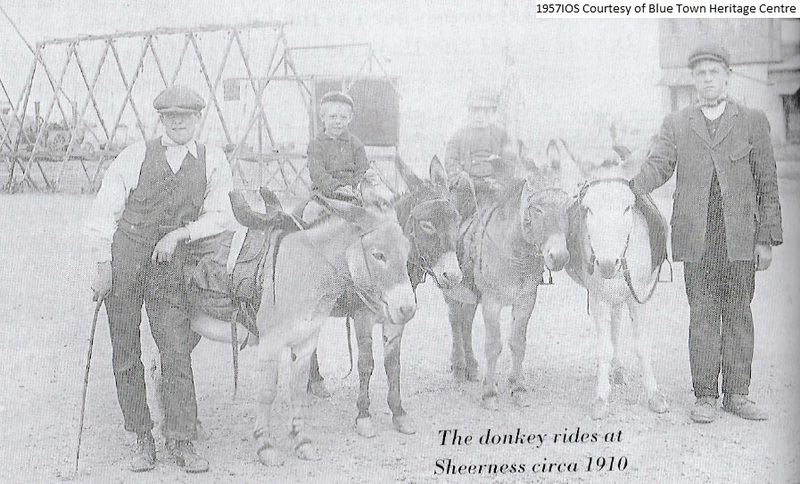 Welcome to the area page for the Isle of Sheppey. 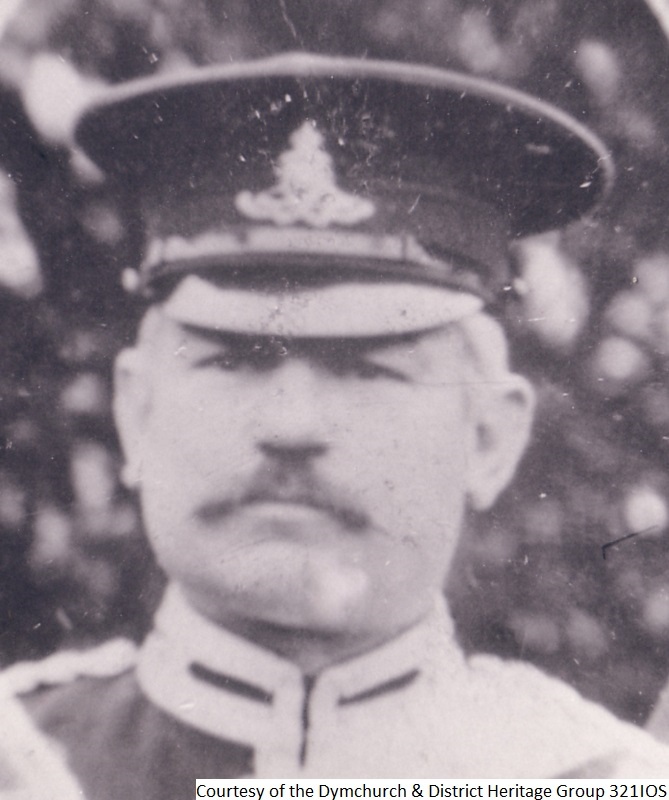 Explore your area map to discover people who lived in your area during the First World War. Don’t forget to visit the 100 MILES page for the Trail information and downloadable leaflet, booklet, walking directions and quiz. 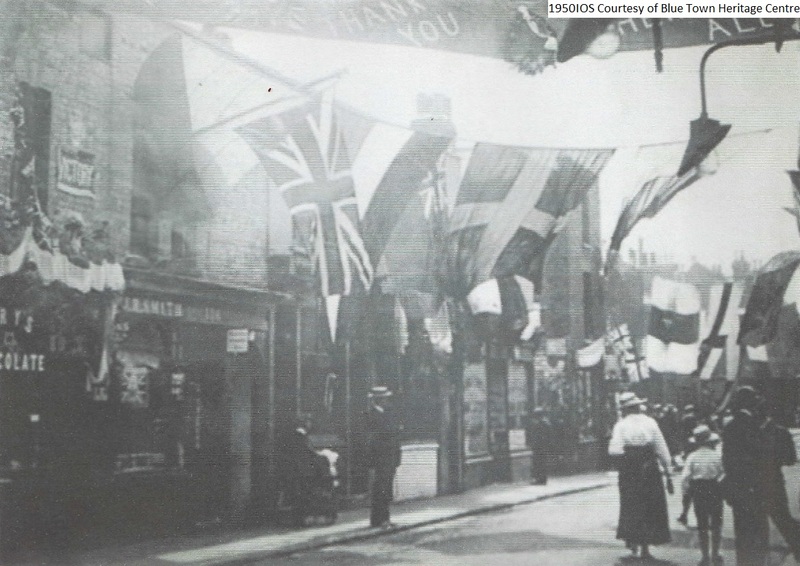 These trails were developed in partnership with Barbara Twiselton and Blue Town Heritage Centre. 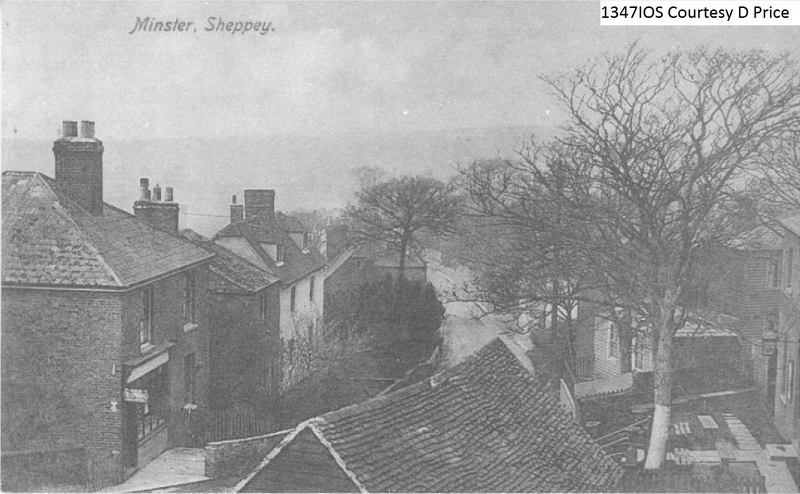 Although the Isle of Sheppey was quite sparsely populated, it played a significant role since all three armed forces had activities there during the First World War. 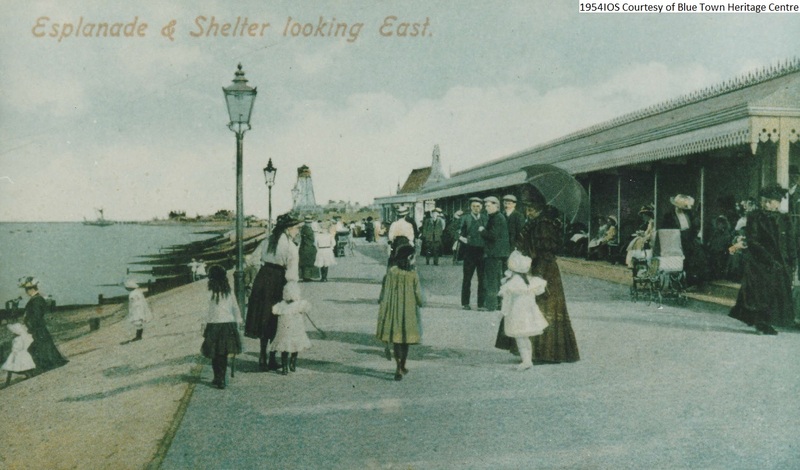 This had an impact on the civilian population as the island was one of two prescribed military zones in coastal Kent during the First World War (the other being Dover): there were restrictions on access, and the law required civilians to show passes. The dockyard at Sheerness had a long history and had initially been developed due to the fact that it provided deep water anchorage. 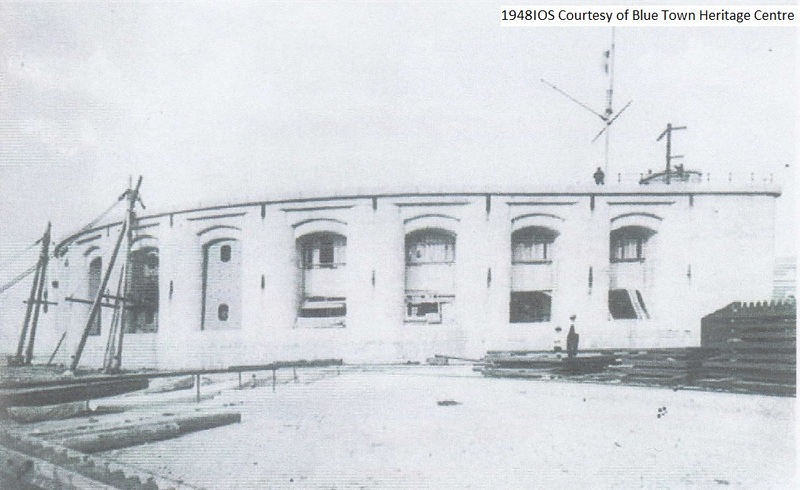 Its construction included dry dock facilities for repairing and refitting ships. 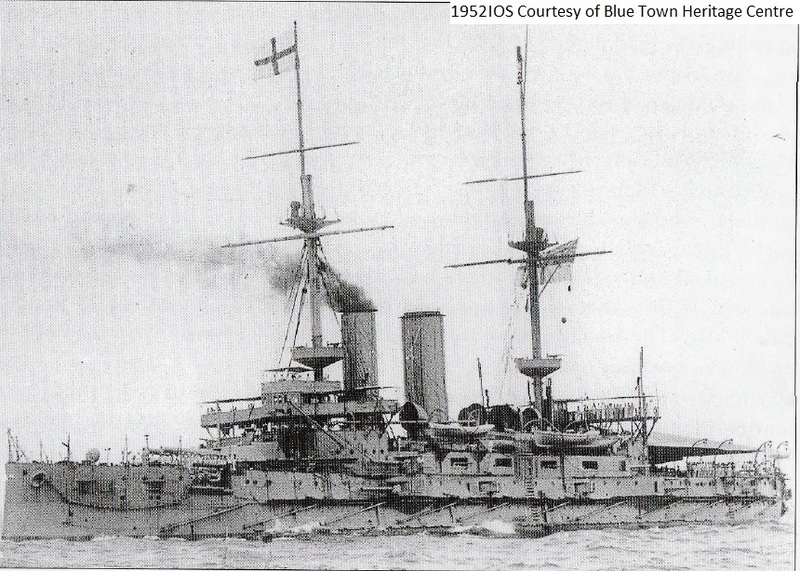 One of the naval events of the First World War which had a considerable impact on the local dockyard workers was the explosion of HMS Princess Irene on the 27th May 1915. 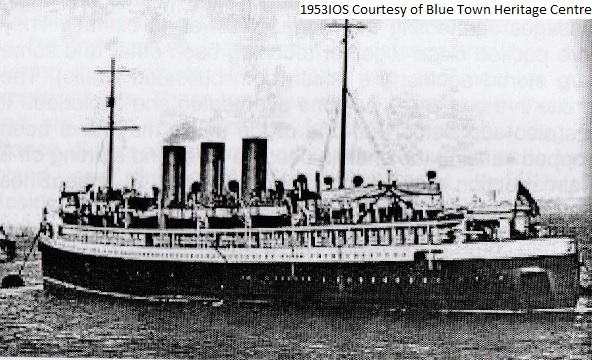 The ship completely disintegrated in this explosion, killing the entire crew and also many dockyard workers who were aboard. 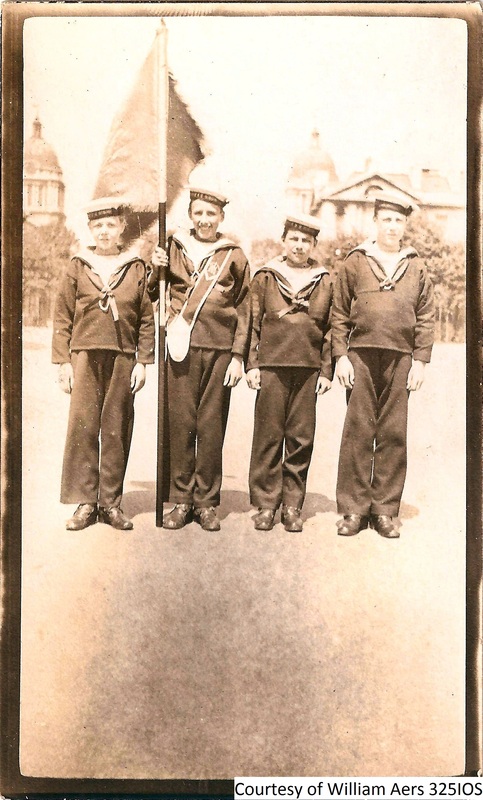 78 of the dockyard workers who died were from Sheerness. 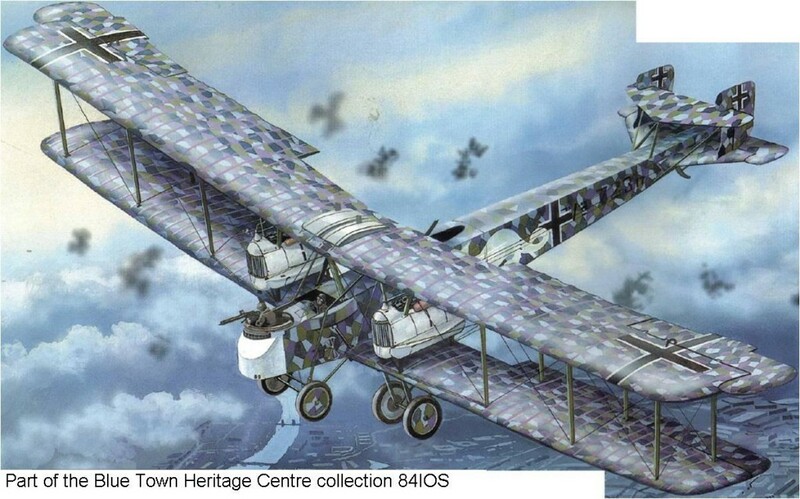 The island was also an important base for aviation during the First World War, with pilot training taking place at Eastchurch, and Leysdown airfield being the base for Short Brothers for the manufacture and testing of aircraft. During the War considerable defence works were built due to the importance of the military activities on the island and also to the strategic importance of the island with its proximity to the River Medway and London. 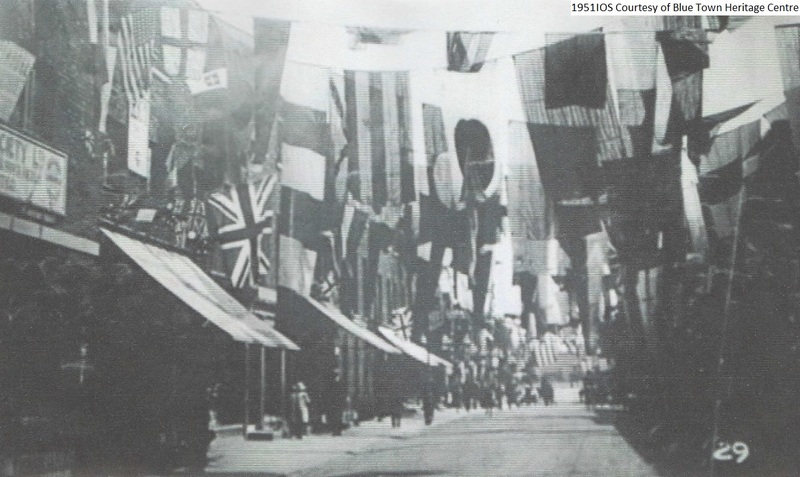 These defence works were part of a larger project which stretched as far as the Medway towns. 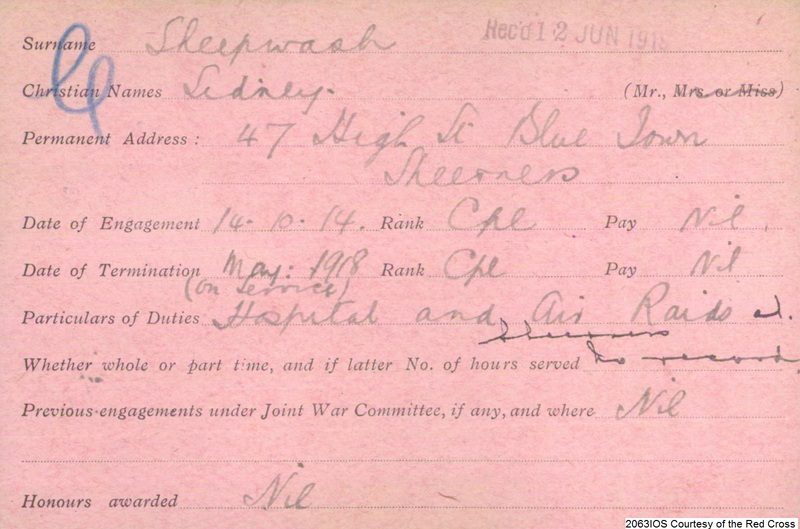 Sidney was a VAD*volunteer at the age of 15, helping not only with the wounded in hospital but he also patrolled during air raids. 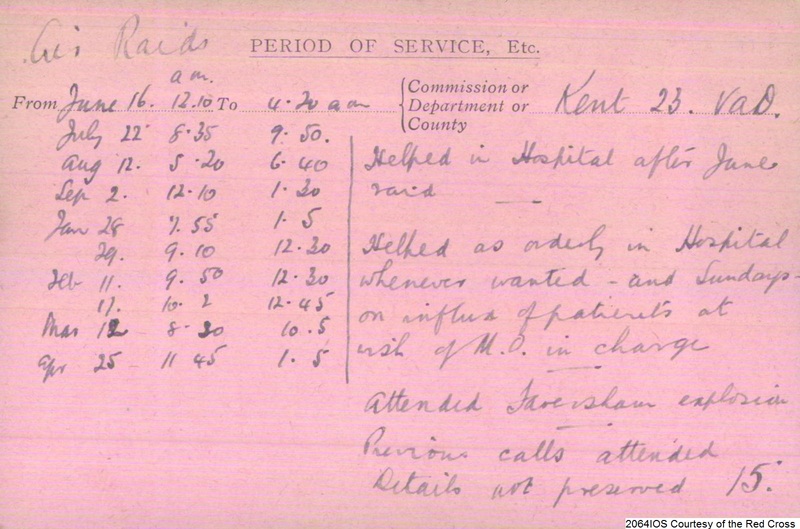 Sidney was also one of the volunteers who attended the explosion at the Faversham Uplees Factory. 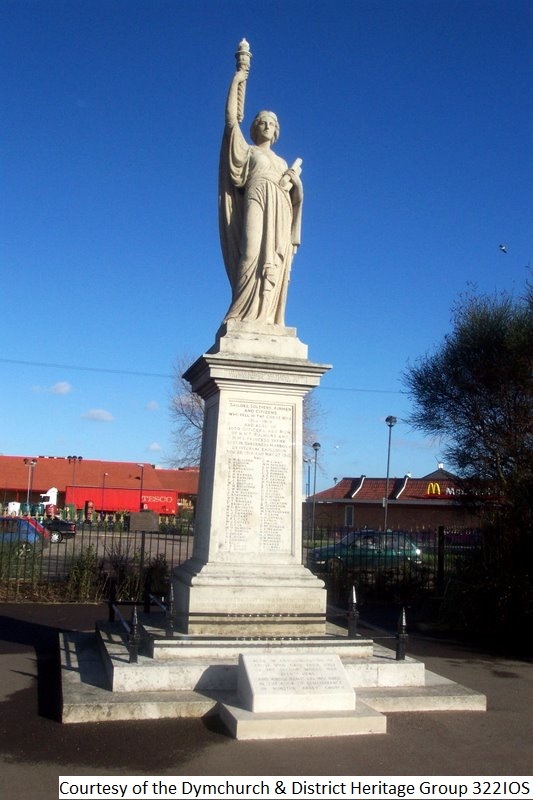 Holy Trinity Church, Sheerness was built in the 1830s; it displays a plaque in memory of the 77 civilians who died in the HMS Princess Irene disaster 1918. 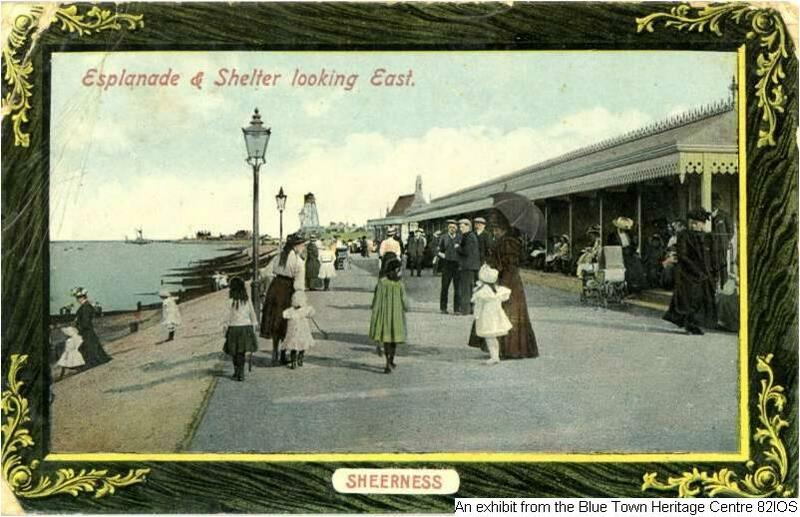 This postcard also shows Sheerness along the Esplanade. 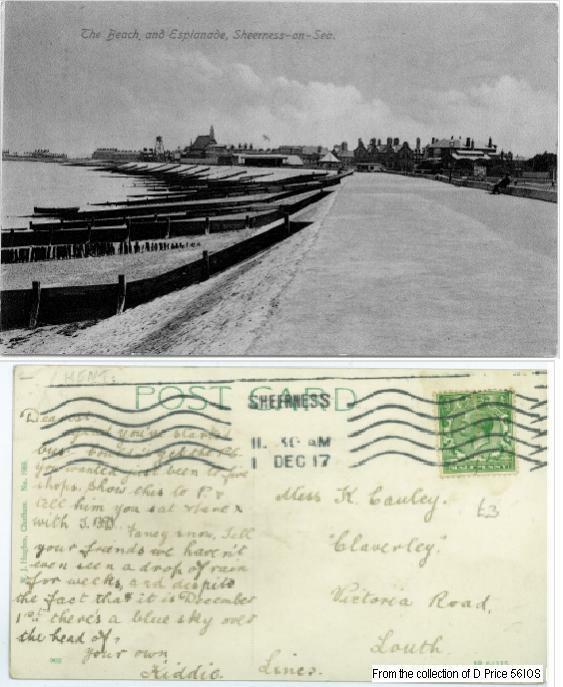 The card was sent 17th July 1916 but again there is no barbed wire along the beach so the picture is assumed to be from earlier. 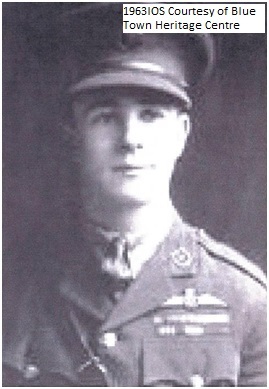 James McCudden was one of the most decorate aviators in the First World War. 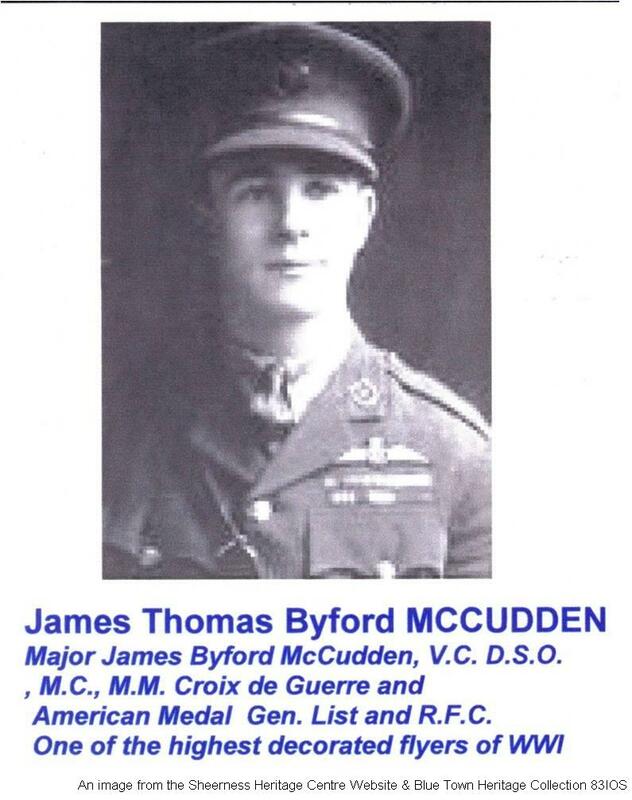 He received the Victoria Cross. 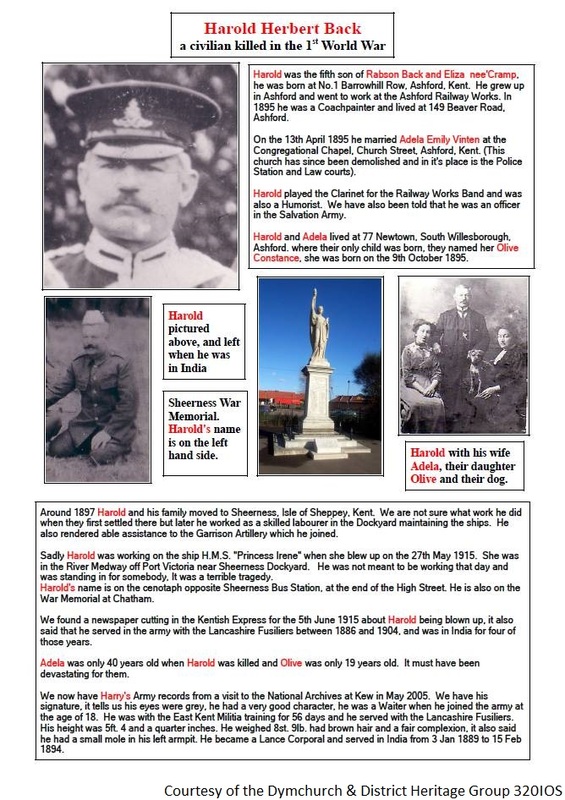 His family lived in Sheerness and he and his brothers lost their lives as some of the first aviators to go to war. There is a small commemorative plaque in the Catholic Church in Sheerness. 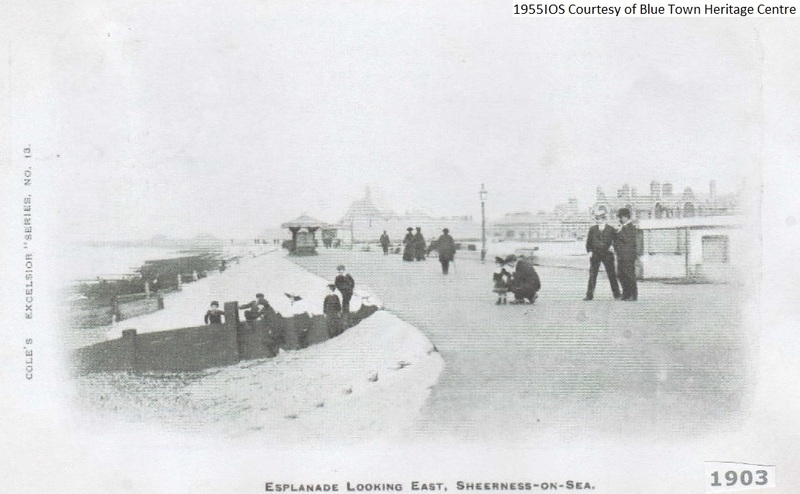 The Isle of Sheppey lies in the mouth of the River Thames opposite Southend. It has stood guard as a defence for the Dockyard at Chatham and the city of London since the 1800’s. The Royal Naval Dockyard was the centre of activity for the preparation of ships for battle. The Royal Naval air station was at Eastchurch and all the aviation activities for the country were organised from Sheerness Dockyard by Captain Scarlett. 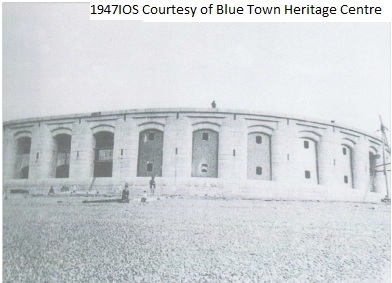 There was also a military barracks at Blue Town. Internal passports were issued because this was an area of high security. 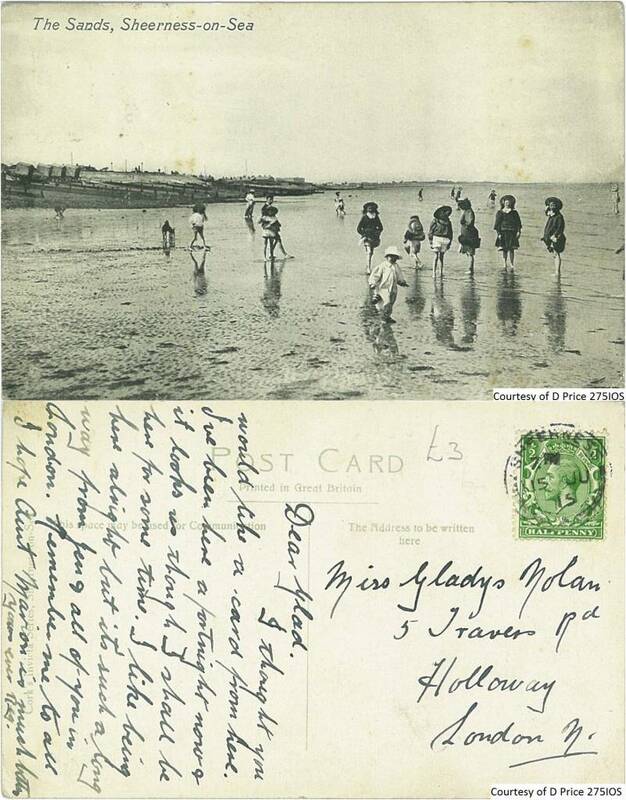 This postcard was sent 1st December 1917 but it is not known when the image was taken however there is no barbed wire on the beach so it is probably 1914. It is interesting that there was a shortage of postcards as evidenced by the reference to visiting 5 shops. 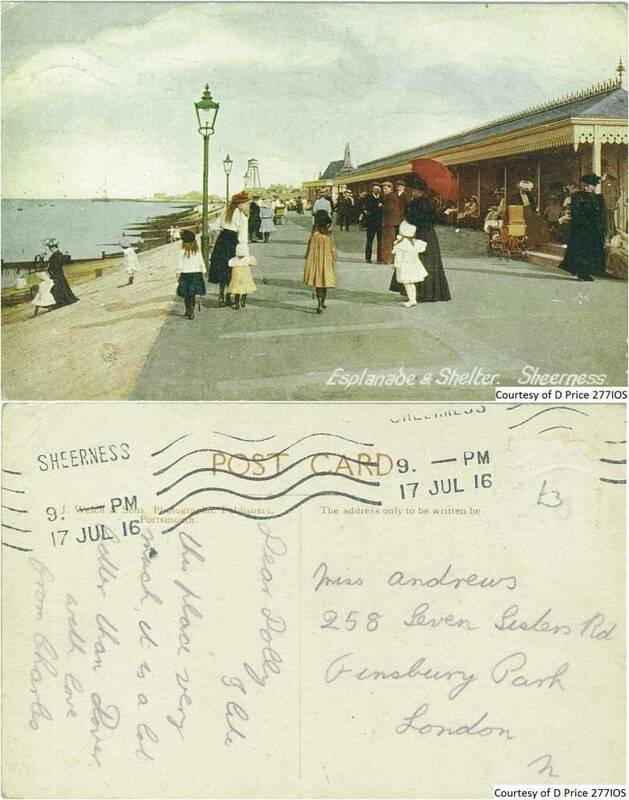 The x on the photo marks the beach shelter where the recipient of the card sat with “S”. 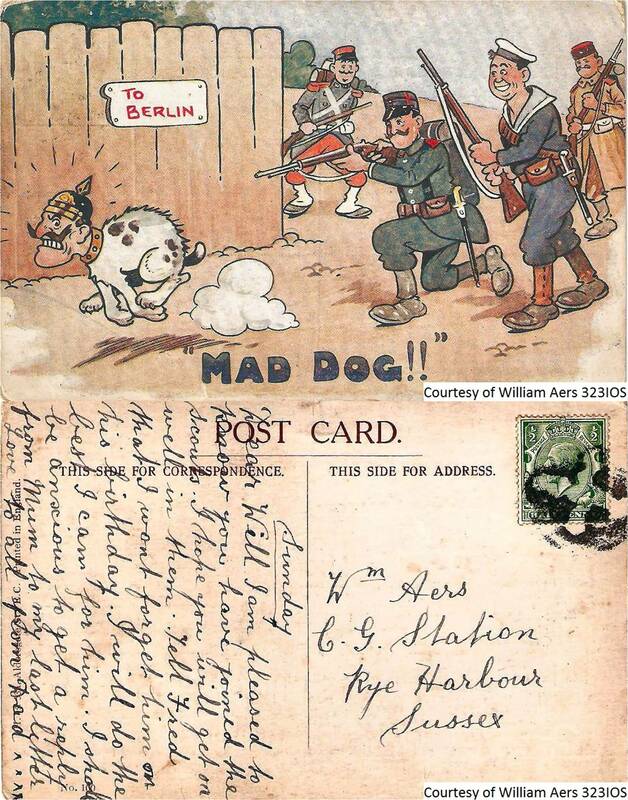 This postcard was sent 4th Oct 1919 but it is not known what date it was produced. 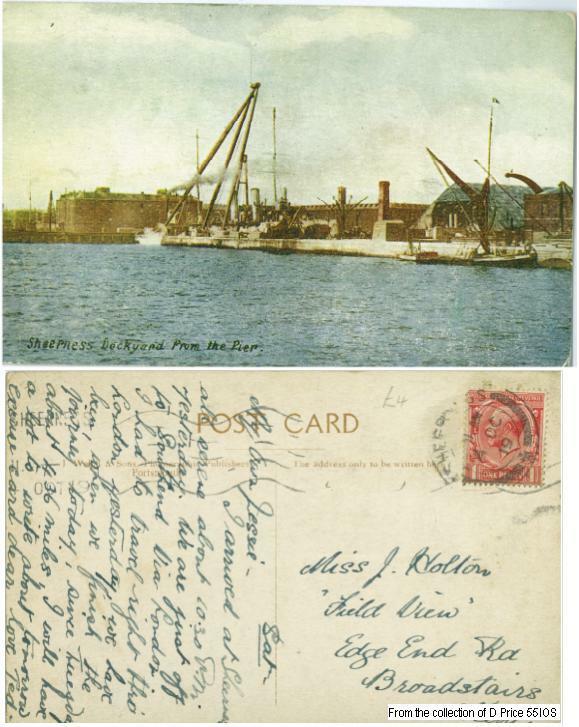 This an interesting view of the dockyard with possibly a Naval Vessel behind the pier.